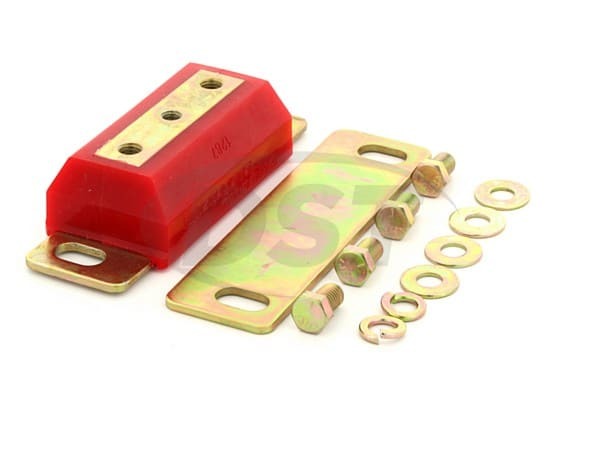 This is Energy Suspensions's Transmission Mount Kit for many late sixties and early seventies model Ford vehicles. 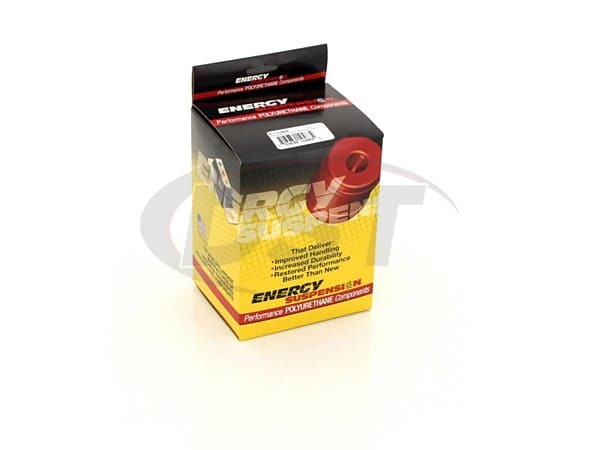 The 4.1136 kit by Energy Suspension will completely replace the old rubber transmission mount on your vehicle with their patented Hyper-Flex polyurethane. 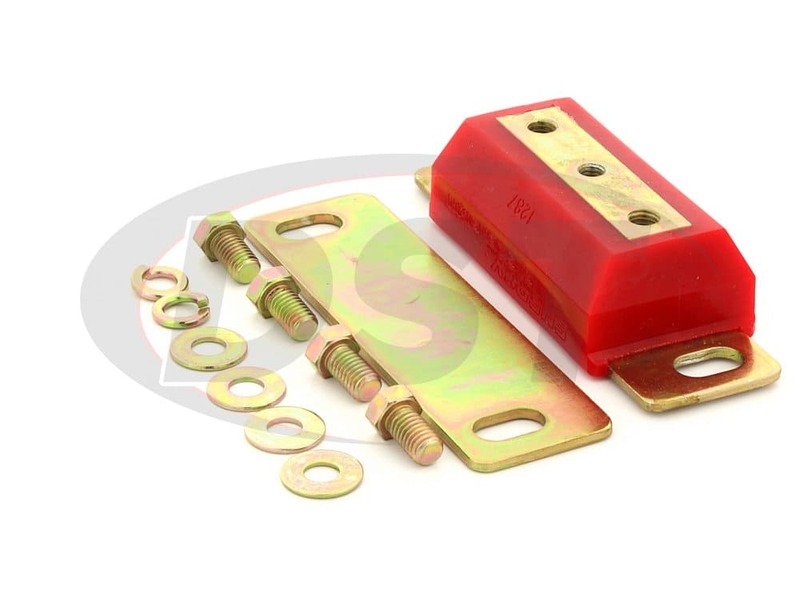 Over time, old rubber OE transmission mount will wear out and can tear away from the mounting bracket. This causes excessive movement from your transmission, which can lead to damage to many other parts of your vehicle, especially the drivetrain. This kit will include one transmission mount, along with four new bolts and washers to bolt the transmission mount to your vehicle. The transmission mount will also include a new preload plate to be installed with the polyurethane mount. 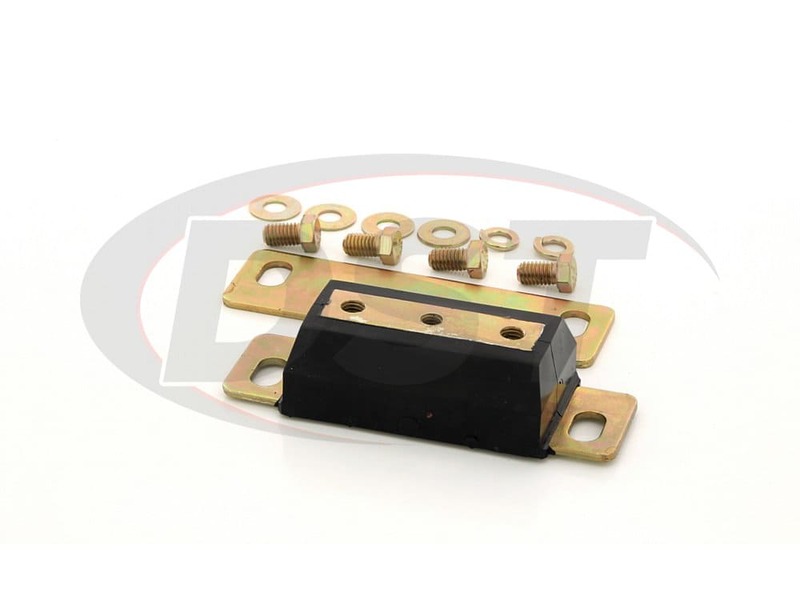 Your OE rubber mounts are bonded to a metal plate for mounting purposes only. 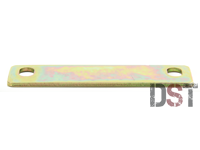 But Energy Suspension has created this preload plate to evenly distribute the load for better surface contact and to offer more support for the polyurethane. All of these mounts and hardware are all zinc coated to prevent corrosion for a long maintenance free life. 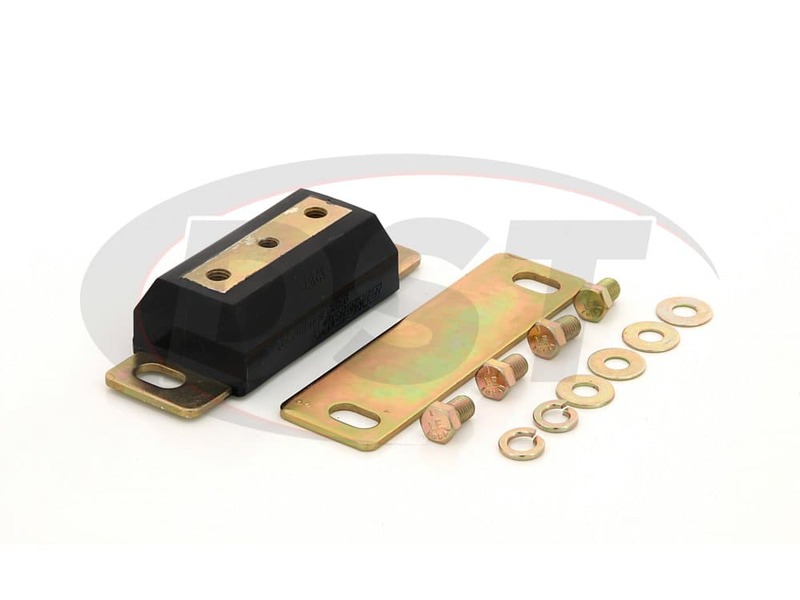 Energy Suspension has engineered this mount specifically to address the worn out OE mounts. 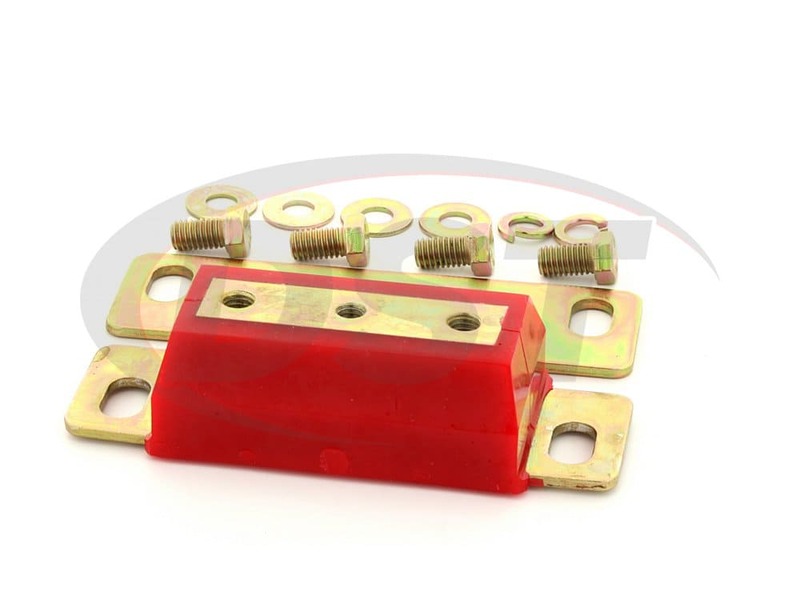 They have developed this Hyper-Flex polyurethane mount to provide firm support for your transmission, protecting you from costly drivetrain repairs down the road. 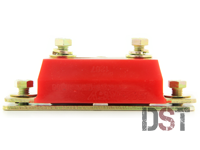 They do this by specifically formulating the firmness of the polyurethane to match your specific chassis. This carefully designed durometer will also be soft enough to isolate the vibration transferred to the chassis for a quieter ride. The mount will bolt to my ford toploader transmission with no modification. The crossmember mount bolt holes required to be made wider by 1/16, and I used a hand file on the extreme outer edge of each hole. I was able to do this because the original bolt holes are 1/2 and the mount holes are 7/16 which already have clearance. I have fitted the spacer plate. Also removed the urethane that protrudes from the top side of the mount, so when it is tightened to the trans it does not push out the lower section of mount that is in contact with the crossmember. 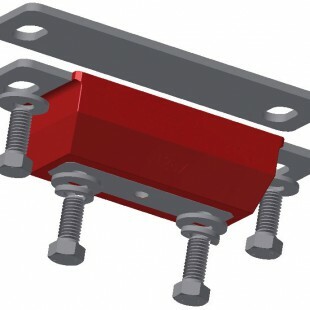 This mount is easier to fit as it does not have any studs from the crossmember side . What is the spacing between bolt holes on the transmission side? On Part Number 4.1136 the spacing between the bolt holes is 5.5 inches. Does this fit a C6 transmission? What is the dimensions.